The Pacific Institute has developed the Cost Effectiveness of Water Conservation and Efficiency (CE2) Model to help evaluate the economic desirability of water conservation and efficiency measures and explore how costs and benefits can be shared among customers, water utilities, and other entities. The model helps document the costs of starting and running a conservation program and estimate the associated water, energy, and financial savings. The free Urban Water Demand to 2100 model from the Pacific Institute helps water managers to forecast urban water demand with four global climate change models and compare different possible futures to the year 2100 by altering greenhouse gas emissions, population projections, conservation and efficiency measures, and more. This flexible modeling tool allows users to run their own scenarios, comparing how a range of factors in a range of climate change scenarios is likely to affect future patterns of water use in their specific areas. The Pacific Institute, in collaboration with Google, created WeTap to help the public easily find water fountains. Users also help add new fountains to the public database. WeTap encourages water agencies, cities, institutions, and developers to recognize and take care of the invaluable resource of free, accessible public drinking water fountains and to add new drinking fountains in public spaces. For more than a decade, the biennial report The World’s Water has provided key data and expert insights into our most pressing freshwater issues. Worldwater.org is dedicated to providing information and resources to help protect and preserve fresh water around the globe. The Pacific Institute’s WASH SMS Project is creating a highly accessible communication and monitoring system that uses readily available mobile phones to collect and disseminate information that can fill multiple data needs – for poor residents, utilities, local governments, NGOs, as well as the average customer – and is designed to be accessible both to resource-strapped utilities and poor residents. Through crowd-sourcing it helps develop rich, actionable data that addresses critical urban WASH needs, and informs better policymaking, budgeting, and planning. Circle of Blue WaterNews is a daily extension of Circle of Blue’s long-form journalistic and scientific coverage of the global freshwater crisis and its solutions. From breaking headlines and the latest research to emerging trends and success stories and challenges, WaterNews is a great resource for comprehensive, engaging freshwater coverage. The Water–Energy Simulator (WESim) is an easy-to-use analytical tool that can be used to evaluate the energy and greenhouse gas implications of water management decisions. The Excel-based model allows the user to explore a range of possible scenarios, such as increased demand for water resources, the development of alternative water and energy sources, and needed water treatment improvements resulting from emerging contaminants and stricter water-quality guidelines. WESim can be applied by individual water and energy utilities, groups of utilities, and policymakers and decision makers. To give water managers a better understanding of the relationship between water management decisions, energy consumption, and air quality the Pacific Institute has created two Water to Air Models. One model is for urban water districts and the other for agricultural districts. The models provide a flexible but consistent framework for quantifying the energy and air quality dimensions of water management decisions. WECalc asks users a series of questions about their home water use habits, and based on inputted replies, estimates their water use and provides personalized recommendations for reducing it. WECalc also estimates users’ water-related energy use and associated greenhouse gas emissions and shows them how much they can save — and how to do it. In an ongoing effort to understand the connections between water resources, water systems, and international security and conflict, the Pacific Institute initiated the Water Conflict Chronology project in the late 1980s to track and categorize events related to water and conflict. The Water Conflict Chronology is also available in Spanish (2008 version). Cronología de los Conflictos del Agua en Español (versión actualizada en 2008). The CEO Water Mandate website is designed to make a clear business case for corporate action on water and provides access to an array of resources relevant to companies seeking to better understand how they can improve their water performance and reduce water-related business risks. It also serves as a robust source of information to help companies and their stakeholders learn more about corporate water stewardship and the Mandate’s position within that emerging space. The CEO Water Mandate Water Action Hub is an online site designed to help companies efficiently identify potential collaborators and engage with them in water-related collective action to improve water management in regions of critical strategic interest. The tool allows users to identify potential collective action opportunities via river basins, organizations, projects, and collaboration action areas. The Pacific Institute, as part of the Secretariat of the UN Global Compact CEO Water Mandate, helped develop the Water Action Hub and the Guide to Water-Related Collective Action to work hand-in-hand in helping businesses effectively develop a collective action engagement around water management. The Pacific Institute and its collaborators, the Foundation for Democracy and Sustainable Development, the ISEAL Alliance, OneWorldStandards, and Real Reason, have launched two new websites - Framing Sustainability Standards and Sustainability Standards 101- that use “framing” to demystify key concepts and issues related to sustainability standards. 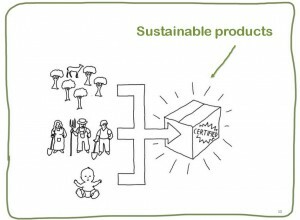 By talking about social and environmental standards in straightforward ways with engaging illustrations that define the issues, the new web tools help communicate to the layperson the unique role and value of sustainability standards systems in furthering sustainable development. The CCSJ program released Gearing Up for Action: A Curriculum Guide for Freight Transport Justice in October 2010 in order to build the power and capacity of communities to participate in decision making regarding freight transportation. This curriculum guide is designed to help communities grappling with freight transport issues share their experiences, explore the root causes of freight transport impacts, identify those responsible for dealing with these causes, and develop a plan for advocacy to advance their solutions. The activities in this guide have been designed to help community leaders engage groups of community members around freight transport issues to learn more about freight transport and connect it to their own experiences. Published by the Pacific Institute and seven local partner organizations, Measuring What Matters: Neighborhood Research for Economic and Environmental Health and Justice in Richmond, North Richmond, and San Pablo quantifies how serious, avoidable problems have become chronic and offers solutions for a better, more equitable way of life in West County. The West Oakland Environmental Indicators Project is the culmination of two years of research and analysis and is the fruit of an unusual collaboration between grassroots advocacy groups, community residents, and a research organization. After in-depth discussion with a neighborhood-based steering committee, the Pacific Institute created a set of 17 indicators to track environmental conditions in West Oakland. The indicators look at issues ranging from air pollution and toxic contamination to gentrification and voting. Our popular education and leadership development work focuses on elevating the voice and power of low-income communities and communities of color, where environmental pollution and poverty are concentrated, in environmental and economic decision-making. We partner with community-based organizations and coalitions to develop and co-facilitate popular education curricula and leadership development trainings on issues ranging from alternatives to incarceration to community resilience to climate change. The Pacific Institute lends its technical expertise through targeted assistance to organizations doing work consistent with our values and mission. Types of technical assistance range from quantitative and qualitative data analysis and design and production of maps and spatial analysis, to review and critique of technical reports, to development of research instruments like surveys and indicators. Our Community Mapping Initiative builds on over 10 years of experience with mapping projects and capacity-building workshops we have done with community and coalition partners on issues ranging from lead contamination risk and liquor store concentration to diesel pollution and access to open space. Community mapping tools we have used include hand-drawn mapping by residents over computer-generated base maps; spatial analysis using GIS (Geographic Information Systems) to answer questions posed by community residents; and internet-based mapping to document and share community knowledge. We also provide technical assistance in creating digital maps or conducting spatial analysis on a contract basis to nonprofit and community-based organizations working on environmental health and justice issues. Our Community Resilience Fact Sheets can be used by community leaders and residents to learn more about the actions they can take before, during, and after climate change impacts hit. They provide residents with tips and resources on how to better prepare for and protect themselves and their communities from climate change impacts from flooding, rising electricity costs, poor air quality, wildfires, rising water costs and water scarcity, and extreme heat.